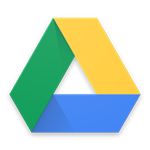 The Quick Access feature from Google Drive, previously an exclusive to the Drive app, will now be coming to the site. Once it is live, you'll be able to see the files Google thinks you are most likely to need at a given time right at the top of your list. We aren't seeing it on our end quite yet, but Google just announced the feature today. Google seems to be taking a pretty general approach to applying its machine learning tech, tossing it wherever it might stick. And, the benefits may be small, but the few seconds saved via each new application can cumulatively save us a whole lot of time. For instance, Google found that the predictive machine learning tech in the Quick Access feature on Android saved almost half the time it took to find the file you need. Those of us with an extensive setup in Google Drive will appreciate the time saved searching. Google's post implies that the new feature should be available on Drive soon. For G Suite customers it is set to a 15-day rollout on the "Rapid" release track scheduled for June 13th. If you'd like to see what Quick Access looks like on Android and don't have Drive installed, you can pull it down over at APKMirror or on the Google Play Store.